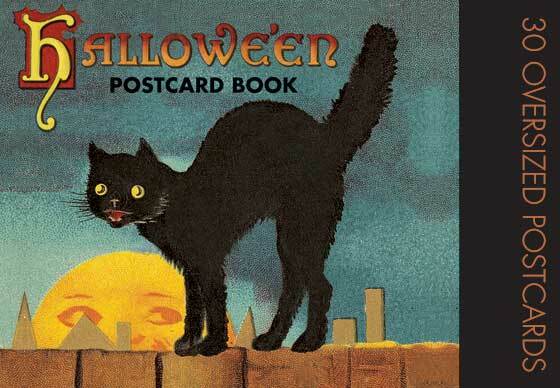 Thirty of our favorite Halloween images from the picture postcard's golden era. During the great era of postcard publishing (which dated from the 1890's until World War I) a great many different designs for postcards were produced. Holidays were a favorite time to send postcards, and as Halloween was second only to Christmas as a card sending occasion, Halloween themed cards abounded. The imagery of these cards is varied, appealing, and dramatic. Our selections use the familiar imagery of Halloween - pumpkins, ghosts, witches, and black cats - but the mood is generally light hearted rather than frightening. We hope this assortment of favorites encourages a renewal of the happy custom of Halloween correspondence.